On October 20th, 2012, the Director of the Oil and Gas at the Indonesian Ministry of Energy and Mineral resources confirmed that the Thai national oil company, PTTEP, has been selected to replace the leaving Malaysian Petronas from the partnership. In the competition, to take the seat left by Petronas, PTTEP passed the Kuwait Foreign Petroleum Exploration Company (KUFPEC) which had shown interest for this opportunity. Anyway, Pertamina may also accept to reduce its own shares to leave a stake of East Natuna to KUFPEC since both companies have signed in May 2012 a memorandum of understanding (MOU) to preprare ground for future joint venture. 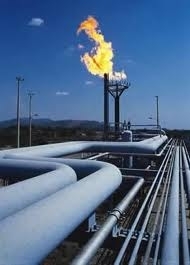 The size of the project allows an extended partnership of international and national oil companies. In 2010, Petronas from Malaysia had signed Heads of Agreement with ExxonMobil, Total and Pertamina, but on beginning 2012, the discussions were stopped before converting the Heads of Agreement into formal contract. The Indonesia East Natuna block oil and gas field was previously called Natuna-D Alfa and is located in the Riau Islands. 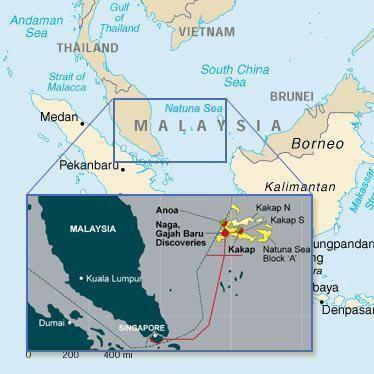 The East Natuna field would hold 500 million barrels of crude oil. Then East Natuna is the largest untapped natural gas field in Asia, this giant natural gas project is given to contain 222 trillion cubic feet (tcf) of natural gas in-place reserves. Given the size of the field and these challenges to overcome, ExxonMobil, Total, Pertamina and the new partner PTTEP have estimated the development costs in the magnitude of $20 to $40 billion capital expenditure. The actual uncertainty on the costs is related to the large spectrum of solutions investigated for the development of East Natuna field. – A network of export gas pipelines to supply onshore LNG plants.The countries neighboring East Natuna gas field are members of the Association of South East Asian Nations (ASEAN) and through this association they work on the Trans-Asean Gas Pipeline (TAGP) project. The purpose of this TAGP project is to connect the East Natuna to the Asean countries. The Trans-Asean Gas Pipeline project would link bout 2,300 kilometers of existing pipelines together and would add 4,500 kilometers to complete the grid for about $7 billion capital expenditure. Initiated in 2010 to be operational in 2020, ExxonMobil and its partners could today prefer to go for a floating LNG solution. The capacities of floating LNG vessels is still limited, actually 3.5 million t/y and projects are to come with 6 million t/y, but would give more flexibility to the development of the project. In the meantime that the conceptual study gives its conclusions, Pertamina and its partners must continue their appraisal program to evaluate the amount of effective recoverable reserves. From first data only 46 trillion cubic feet of natural gas should be recoverable from the 222 tcf measured in-place. The revised amount of recoverable reserves and the conclusions of the conceptual study should be available in the same time in 2013 to Pertamina and its partners, ExxonMobil, Total and PTTEP to adjust the capital expenditure and launch the pre-front end engineering and detail (pre-FEED) work.
. The main advantage of Viagra Soft Tablets comparing with other products of this type is its faster on-set effect.